Every year the NHL playoffs brings out the best in some and the worst in others. For every pleasant surprise there is an equal and opposite disappointment and no players feel more pressure than when they underperform in a first-round loss. Here are the players on teams down in their series or eliminated altogether who simply haven’t done enough in these playoffs. Last year Seguin scored three goals and six points in his first two playoff games, but has just one assist in 16 since then and none in five games so far this year. It’s not for lack of trying however as he leads the Bruins and is sixth in the playoffs with 20 shots, but he needs to start burying them. 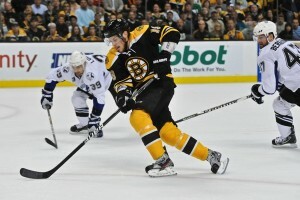 He led the Bruins in scoring in the regular season with 29 goals and 67 points and looked ready to become the go-to guy in Beantown, but was relegated to the third line for Game 5. Every game in this series has been decided by one goal and production by Seguin will be huge as they try to stave off elimination on Sunday. They knew scoring would be at a premium playing against the Coyotes who finished fifth in the league in goals-against average in the regular season, so Crawford was going to have to be at his best. The five four games have all gone into overtime, where he has been a difference maker, but not in a way the Blackhawks would like. Weak goals by Mikkel Boedker in Games 3 and 4 had Chicago down 3-1. Crawford did come back with an excellent performance in Game 5, but those two bad overtime goals could easily come back to haunt the Hawks. Patrick Kane also needs to be better as he has just four assists in five games. It’s hard to pick just one player on Detroit, the first team eliminated from the 2012 playoffs, but Johan Franzen embodies what happened with the entire team. Always steady in the regular season, Franzen has developed a reputation of being able to raise his game in the playoffs, but failed to do that this year with only one point (albeit a game-winning goal). Valtteri Filppula deserves a nod here as well, recording just two assist after enjoying a breakout season. Some major changes can be expected in the Motor City this summer with some rumors saying Mike Babcock could get the boot or maybe they just need to get rid of Todd Bertuzzi. He has three points in five games, but it’s more than a lack of offense for Kovalchuk who had a rebound year with 37 goals and 83 points. He has a team-worst five giveaways and has passed up many shooting chances. One of the most consistent point producers in the regular season, Kovalchuk is lacking that next gear needed to make a positive impact in the playoffs. He needs to start skating harder as he looks very lackadaisical and is now 3-11 in his playoff career. 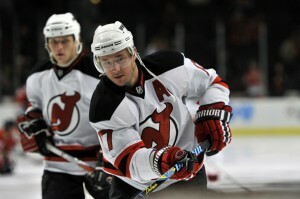 Like the rest of the Devils, he gets down as soon as he faces a little adversity. This team is lacking character and their most important offensive player has disappeared throughout this series. He was signed to provide goals in the Big Apple and he has done just fine in the regular season, finishing with at least 41 in two of three seasons, but has not gotten it done in the postseason. Henrik Lundqvist has done all he can for the Blueshirts, but has received little goal support for the second straight Spring, which is Gaborik’s department. That he plays over 19 minutes per game and has only taken nine shots in completely unacceptable. The Senators have been tight checking throughout the first five games and Gabby has been unable to fight through it. Gaborik has now recorded just two goals and six points in his past 16 playoff games. For a player with two goals and seven points in five games, Malkin has been largely invisible. He only had four assists in the first four games, three of them secondary, before finally getting on the board himself in Game 4. Aside from that game however, rookie Sean Couturier has been able to keep the NHL’s leading scorer in check, frustrating him throughout the series. Marc-Andre Fleury has also had major issues in this series, but was the main reason the Pens were able to survive Game 5 as he made several series-saving stops in the third period. Malkin can completely take over a game when he wants to, but we have only seen very short glimpses of that so far. The Sharks were eliminated in five games and neither of these players had a point. Even without the burden of high expectations this Spring, they couldn’t make anything happen. This was a huge Spring for Marleau to show what he can do, but it especially disappointing to see Pavelski play so poorly after he has emerged as the Sharks’ most clutch player the past two playoff seasons. You can expect serious changes in the offseason and this franchise has taken a big step backwards. 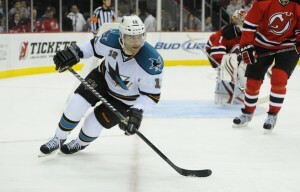 Pavelski will certainly be back, however Marleau could very well have played his last game in a Sharks sweater. Roberto Luongo has taken a lot of heat once again and even though he didn’t play so well in Games 1 and 2, it’s not his fault the Canucks only managed five goals in the first three games while falling behind 3-0. They have not been able to sustain offensive pressure for long periods of time and they have been worn down by the heavy Kings checking. Burrows has become a reliable goal scorer for the Canucks, only Daniel Sedin has more playoff goals in the past three seasons, but only has one goal and one point, is a minus-1 and has a measly 6.3 shooting percentage. He usually excels at scoring gritty goals, the kind needed to beat this Kings team, but has been unable to do so. He’s not the only player struggling to score, but the player who has averaged 30 goals every 82 games the past four seasons needs to finish.